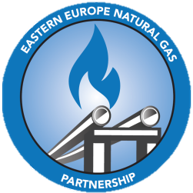 The Eastern Europe Natural Gas Development Partnership (EE-NGP) was established by the United States Agency for International Development (USAID), the United States Energy Association (USEA), and Ministries and Natural Gas Transmission System Operators (TSOs) of Eastern Europe. Imports of liquefied natural gas (LNG) from the United States and the soon-to-be completed Trans Adriatic Pipeline (TAP) bring the potential to gasify Southeast Europe to the medium-term planning horizon (five to ten years). Plans are being developed for an Ionian-Adriatic Pipeline (IAP) to branch off from TAP in Albania and supply Montenegro and Kosovo with natural gas and to provide an additional source of supply to Croatia. Croatia’s plans to develop a floating storage and regasification unit for LNG imports at Krk Island may provide another source of natural gas supply to the region. The EE-NGP is intended to supplement system development activities and ongoing Energy Community processes and provide a forum for the gas transmission network system operators in the region to develop national and common regional gas network development models, perform technical analyses to optimize gas network infrastructure development, and discuss topics of common interest. The long-term objective of the Partnership is to enable the creation of a regional gas market with the potential for US gas supplies. Accelerates development of natural gas pipeline infrastructure in Eastern Europe. Organizing workshops to disseminate the analytical results of Working Group analyses to policy, regulatory and commercial audiences.